Anyway, back to topic. This will be the first post on Taipei! 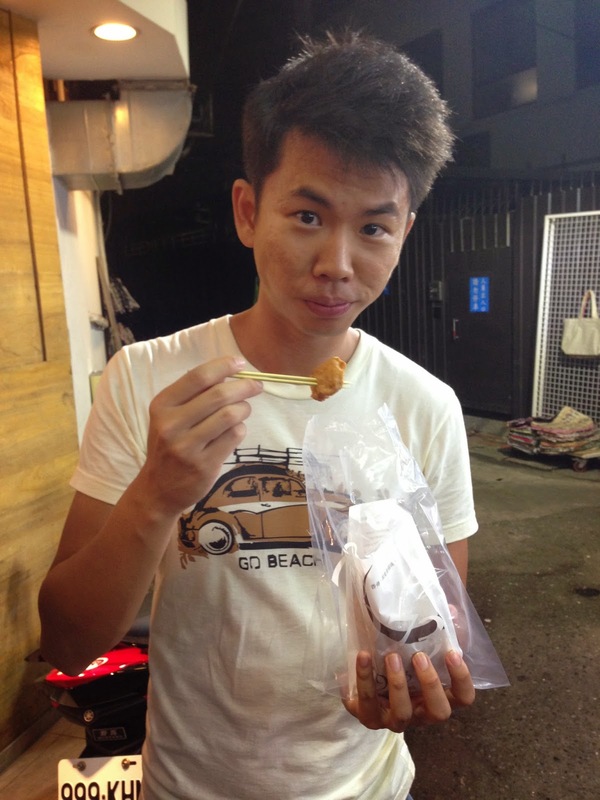 We spent 4D3N in Taipei or was it 5D4N? See, it was so long ago that I mind has failed me. 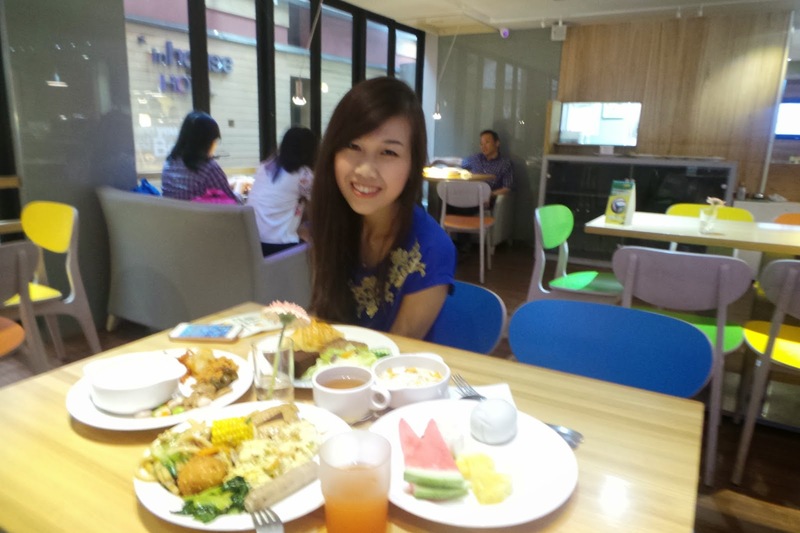 -.- Either way, we stayed at Inhouse Hotel 薆悅酒店, a boutique hotel located in the heart of Ximending. We got a standard room and we were really impressed with the room! Though small, the room was really elegant and modern. Moreover, the entire room is equipped with the most advance audio-visual equipment! It was certainly a hotel out to impress.Even the toilet bowl and shower facilities use some of the latest technology! By the way the complimentary bathroom amenities are from L'OCCITANE. You probably might be thinking per night stay at here would cost a bomb? In fact no. We paid about $100 per night, which is very a very affordable and competitive price, considering it's conveniently located in Ximending. One of our favourite hotel breakfast through this trip. In fact, I had one of the best scrambled eggs here. The only complain would be the dim light. Hahaha. 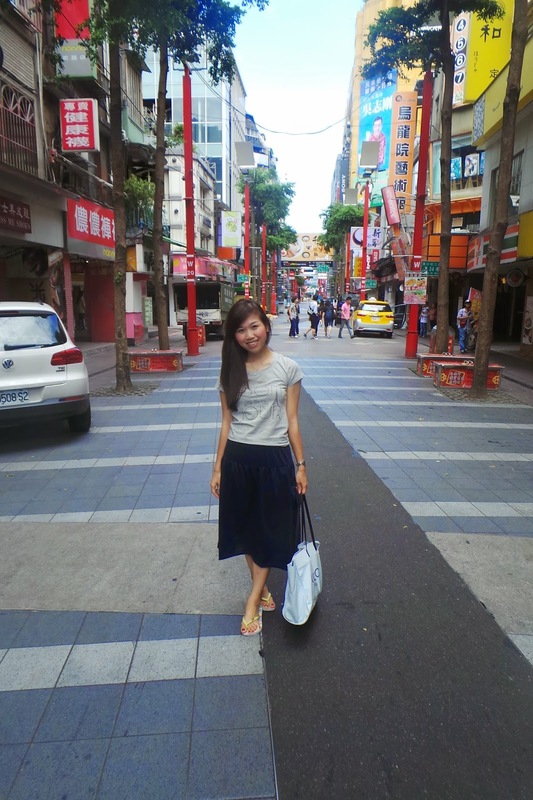 Ximending is a shopping district in the Wanhua District of Taipei. 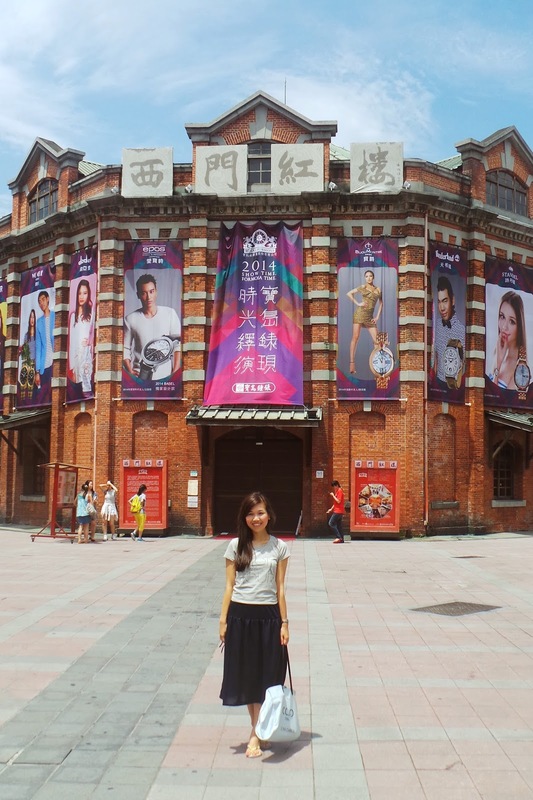 It is the main source of Taiwan's fashion, subculture, and Japanese culture. The night is always young in Ximending, basically the later the time, the crowded the place becomes! I didn't have much buys from Ximending (too hipster for me). But I ate.. A LOT. 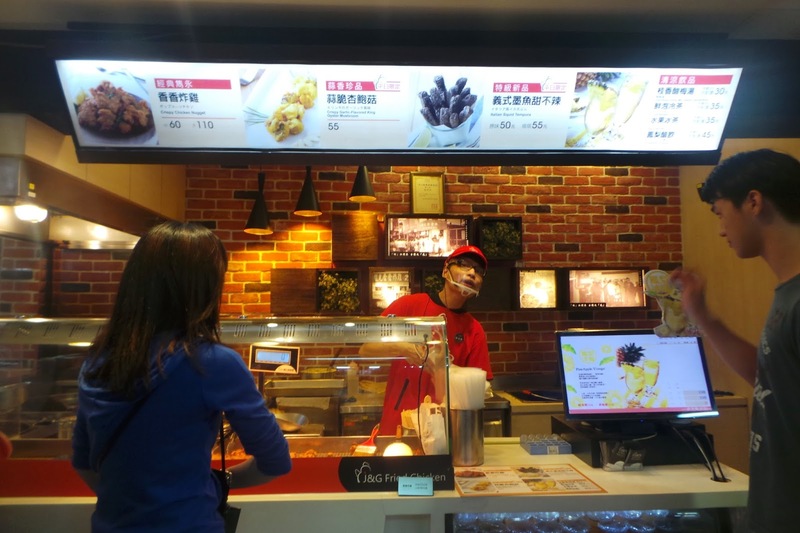 What is visiting Taipei without trying the fame, 阿宗麵線? In fact we had 3 times during our stay? The place is forever flooded with human traffic no matter at what time of the day we come, rain or shine. Why isn't anyone bringing in Ah Zong Mee Sua to Singpore? you would notice a Japanese eatery that has an equally long queue. Us being curious, we queued along. Japanese Yakisoba or stir-fried noddles. Served pipping hot. I feel that it was good but definitely not that good to have such a long queue. 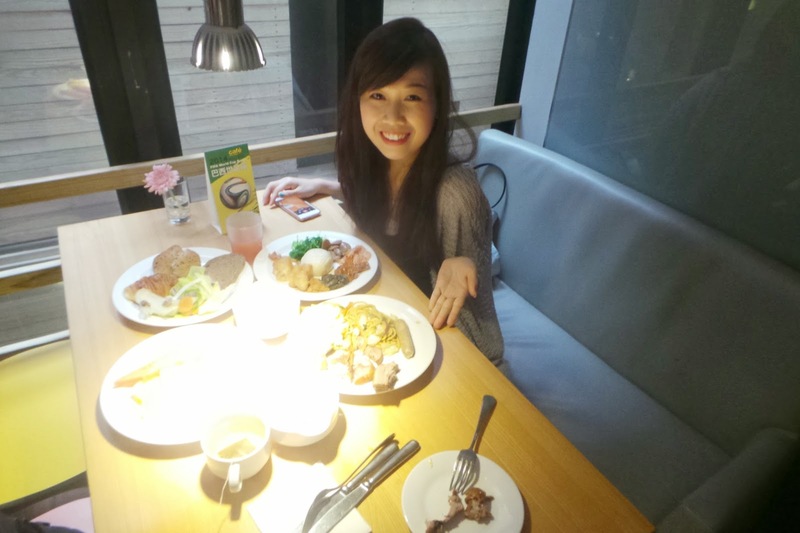 Anyway, food is seriously everywhere in Ximending. 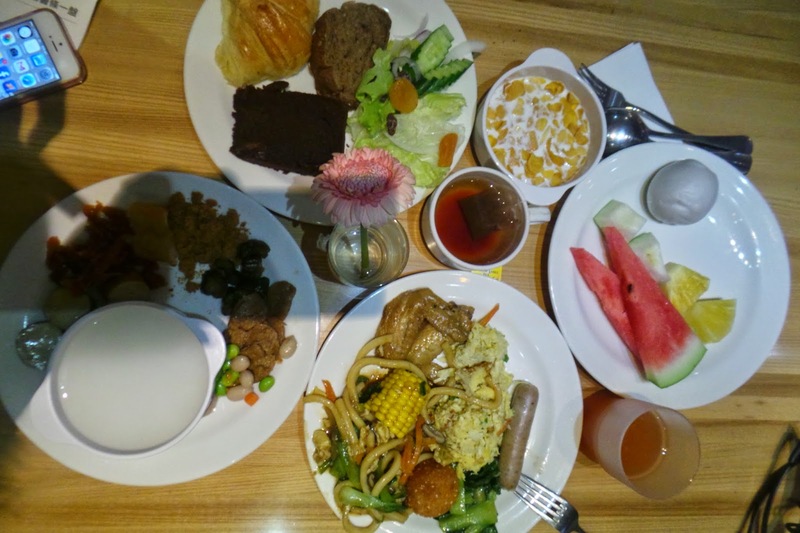 From restaurants, to cafes, to small eateries and even pushcarts. A lot of Japanese influenced restaurant as well. Due to their close proximity. Another long queue stall that caught my attention. It's long the street where the bubble tea shop, 50lan is. Grilled mochi! Can you feel my excitement!! 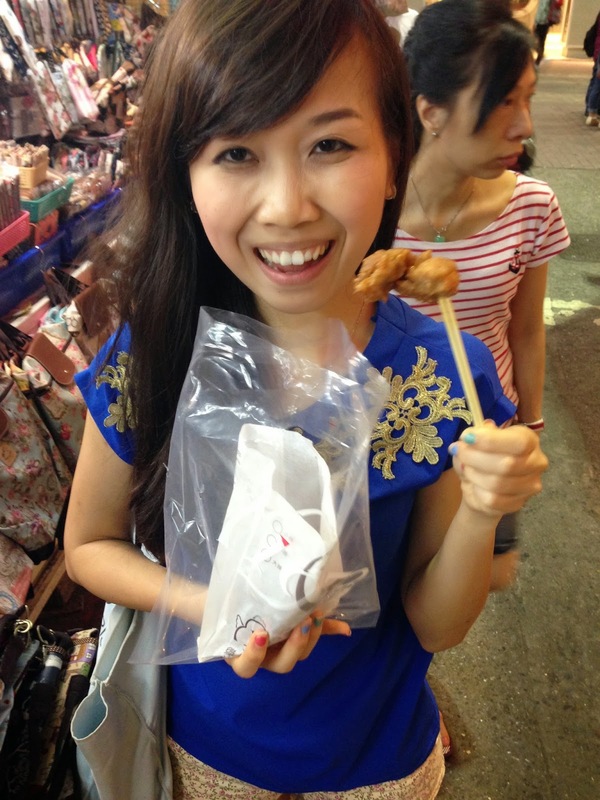 <3 <3 Basically a mochi on stick that as being flattened and grilled. I had the green tea flavour. There are at least 20 flavours if I did not remember wrongly. The fame, 50lan bubble tea. 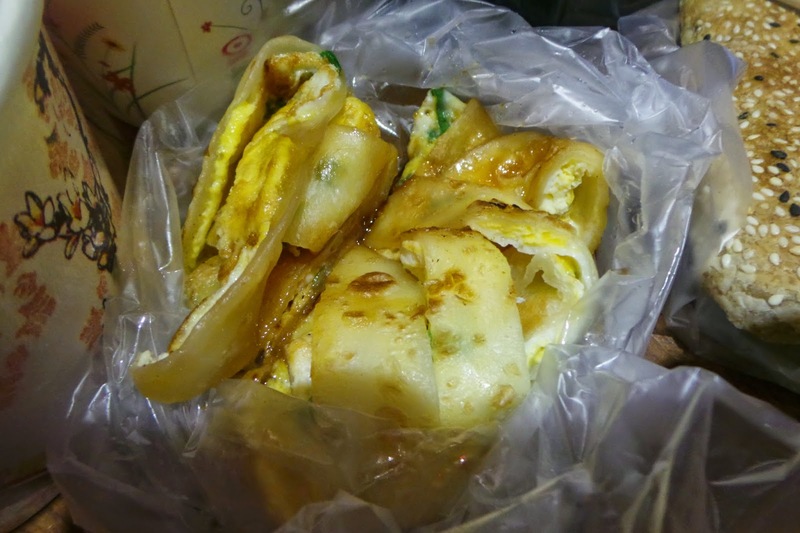 Best in Taiwan? Of course we have to try! 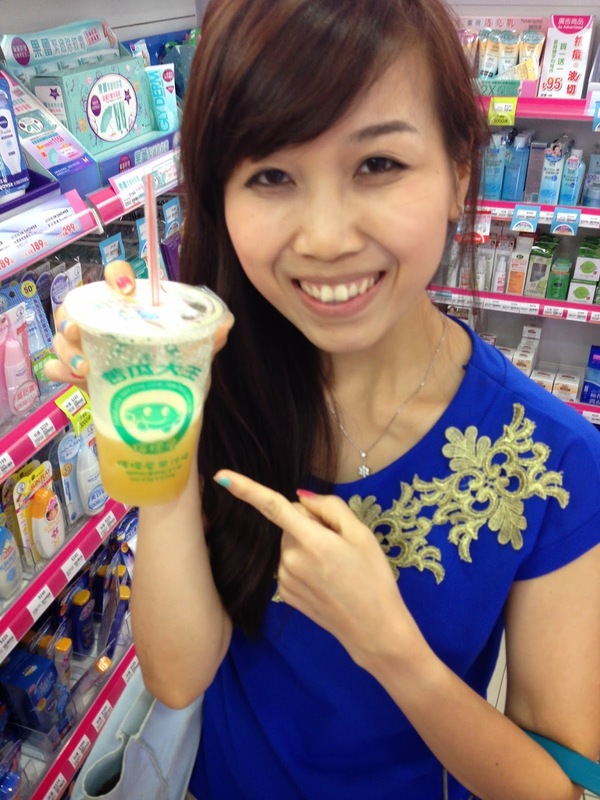 Shared a big cup and we feel that Taiwan's pearl is really unbeatable. So good! Another streetfood that we saw as we explore the area. Sadly I was cheated. My matcha sponge cake did not ooze! :< The boy's custard flavour did ooze thought and it was so much better than my matcha one. Verdict? Definitely much better than SG's version. But I feel that the flour was too thick. I could hardly taste the meat. :/ The boy loves it though. Rather than Shilin's chicken chop. I would recommend you to have this instead. It's call 香香鸡 (something like that). 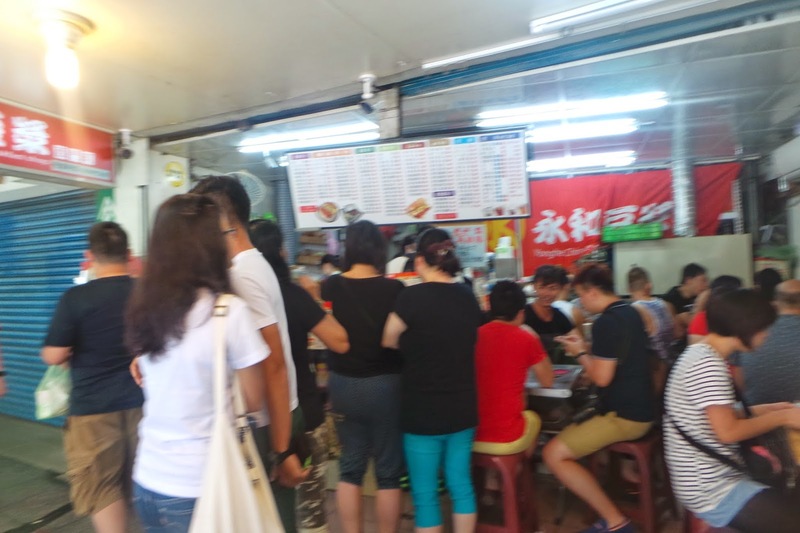 Our Taiwanese friend brought us here and always the trust the locals when come to food. You can be reassured that your chickens are freshly fried on the spot as they get wipeout so quickly! So much more yummy than anything else. 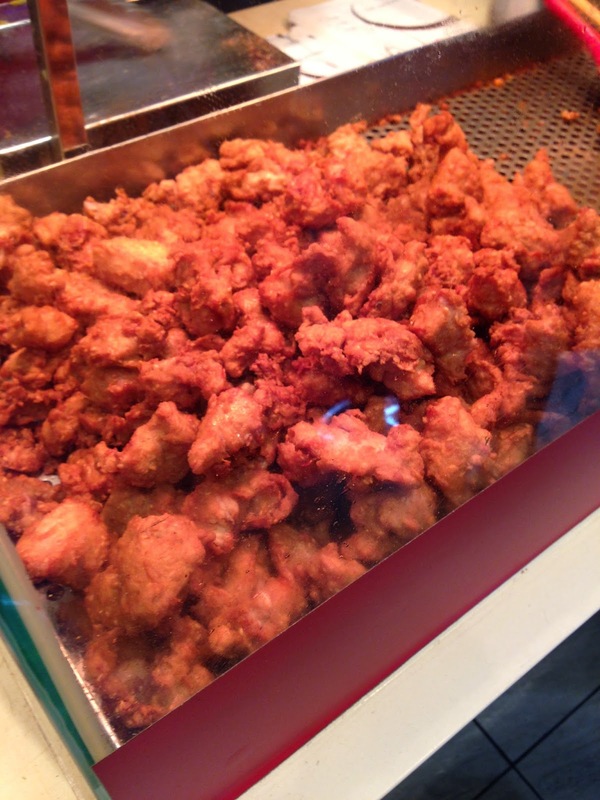 It's really meat and not a thick layer of flour coating over a pathetically thin piece of chicken. Someone is certainly happy with his buy. He went back to the same stall twice in a day anyway. 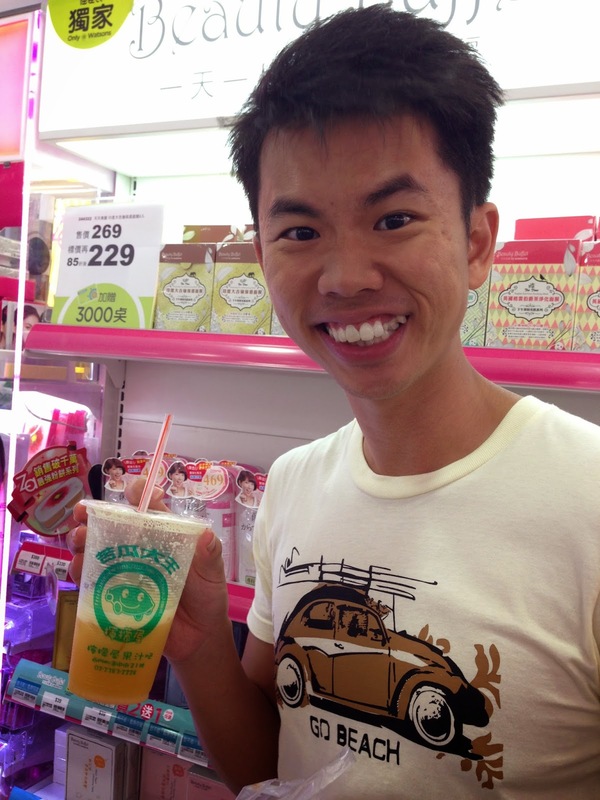 Besides bubble tea, another drink that I would recommend everyone to try is White bittergourd juice. I know I know. You probably like 'eeek.. bittergourd?' I have the exact sentiment too. Until the boy decided to be adventurous and queued a good 30 minutes for the drink. We totally love it! Not even a single hint of bitterness as it was masked with the honey added. So refreshing to drink especially after having so much deep fried food. No wonder the queue I guess. Everyone wants a cup to fight the heatiness. 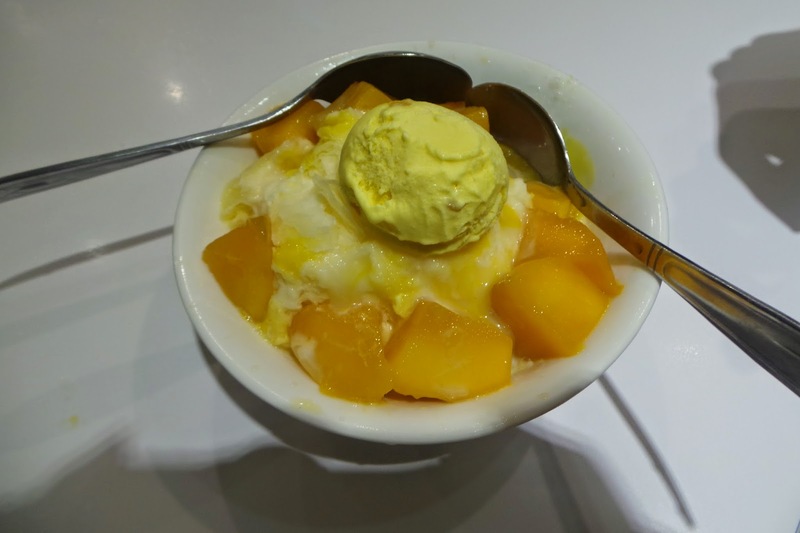 Of course, desserts is always a good idea to end a day, no matter how full one is. 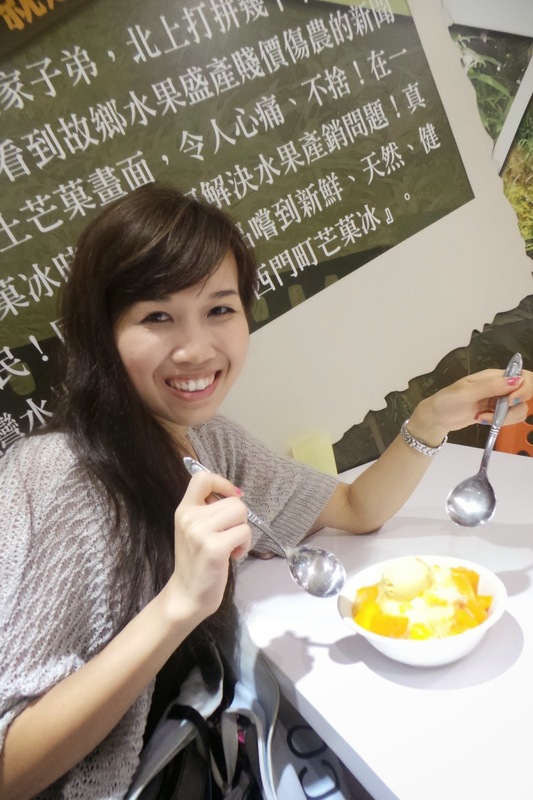 Shaved ice is one of the most popular desserts in Taipei. You can find one shop selling this at almost every corner. 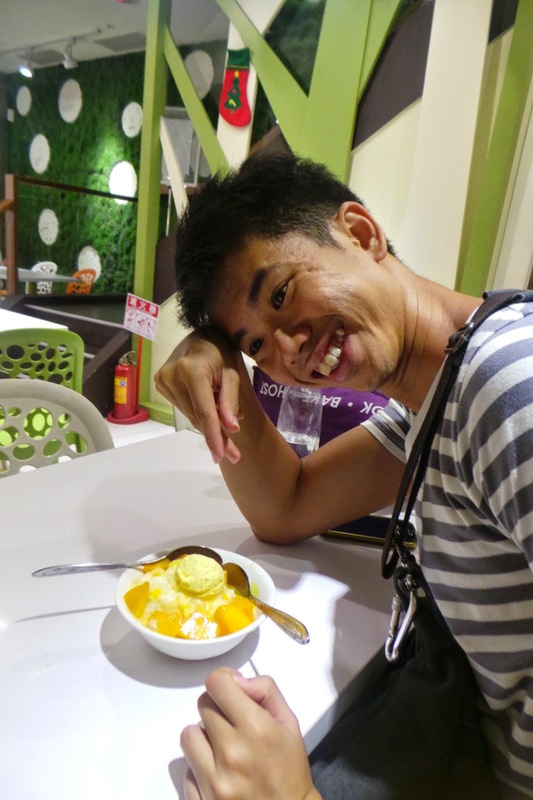 Please try the mango shaved ice at least once during your trip. The mangoes are nothing like the ones we have here. Taiwan mangoes are so huge and SWEET!! Love love it! Basically all their fruits are much bigger and sweeter than ours la. Haha. My happy face vs his shagged face. 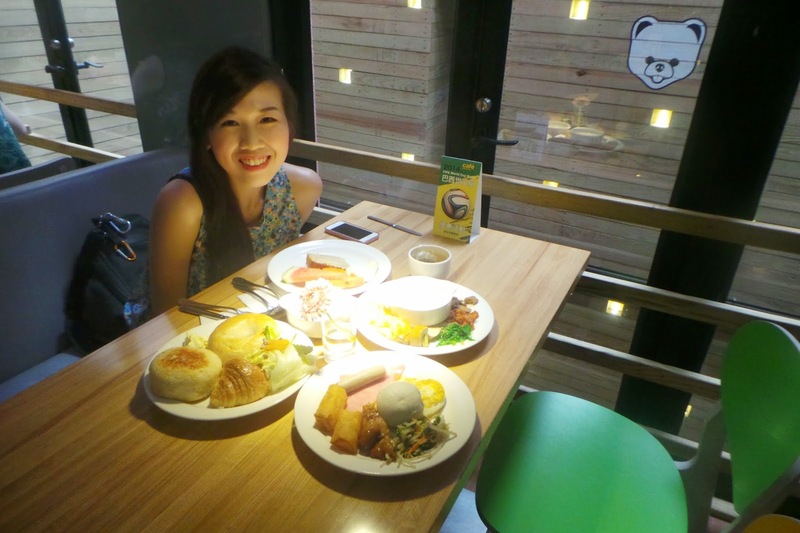 This post is seriously long and I'm not even done yet with the food we ate in Taipei alone. I can't believe myself either. 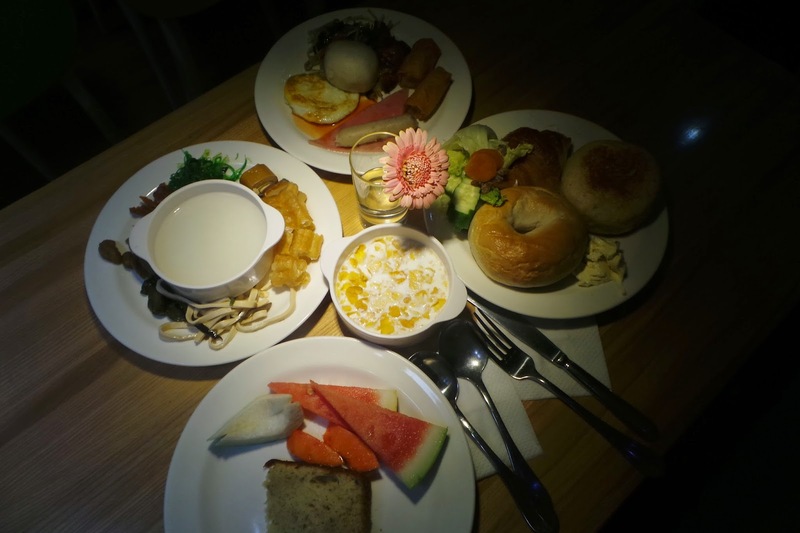 What do Taiwanese eat for breakfast? 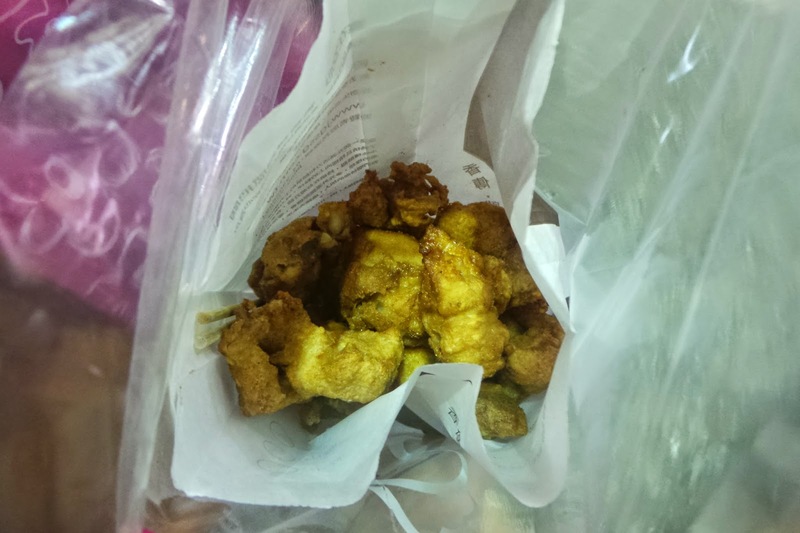 Have been dying to try the famous 永和豆漿大王 Yonghe DouJiang since forever! Finally~ Lucky us the shop is conveniently located just down the street from our hotel. 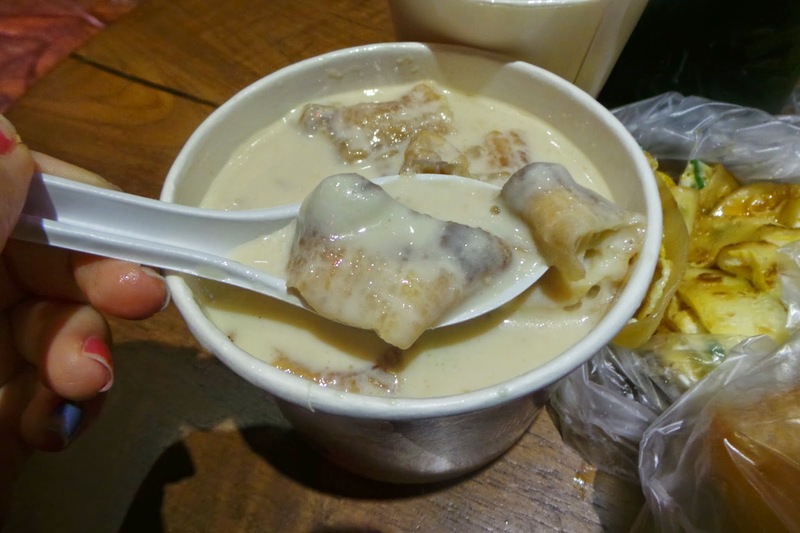 Heard a lot about this special flavour of beancurd and being the food explorer. I ordered it. 2 mouths and.. I gave up. LOL! I guess it's an acquire taste, likewise to durian. I still like my sweet version. One of the top seller and this was really delicious! 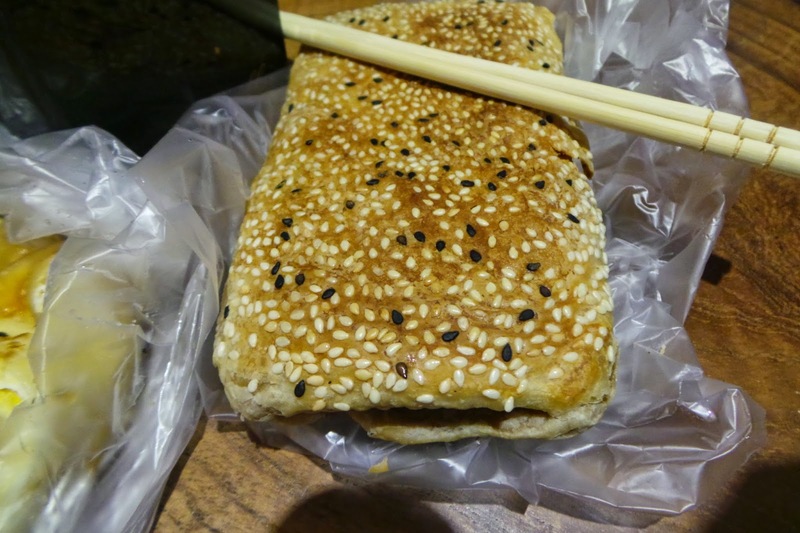 烧饼 shao bing, which we can't appreciate. Haha! Still happy despite YongHe wasn't as great as I thought it could have been. 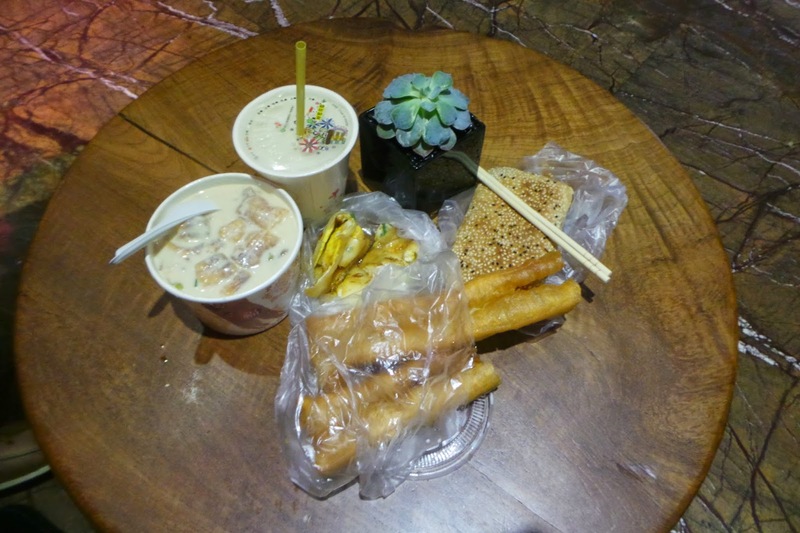 At least the sweet 豆浆 and Youtiao were really good! 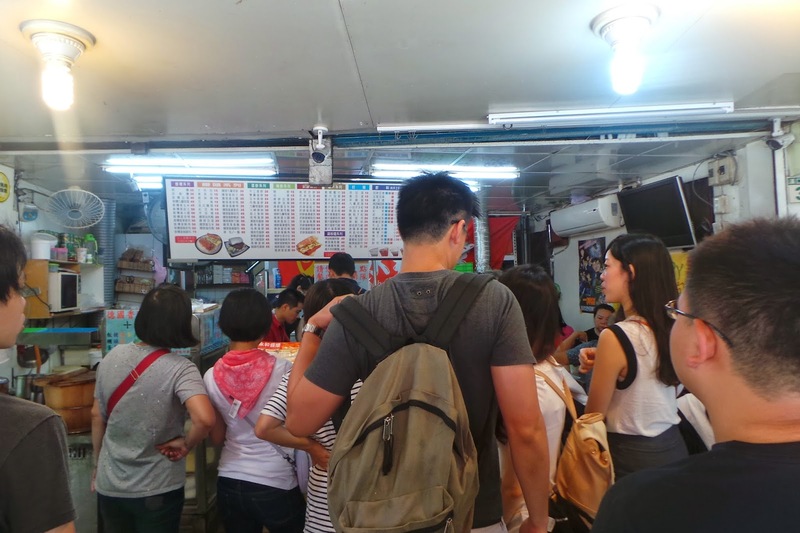 Heard that 阜杭豆漿 Fu Hang Dou Jiang is much better but the queue is also much 'better' so I didn't plan it in our itinerary. Next time maybe? Do let me know if you have tied. How was it? By the way, this guide is definitely not comprehensive to represent what you can find in Ximending. 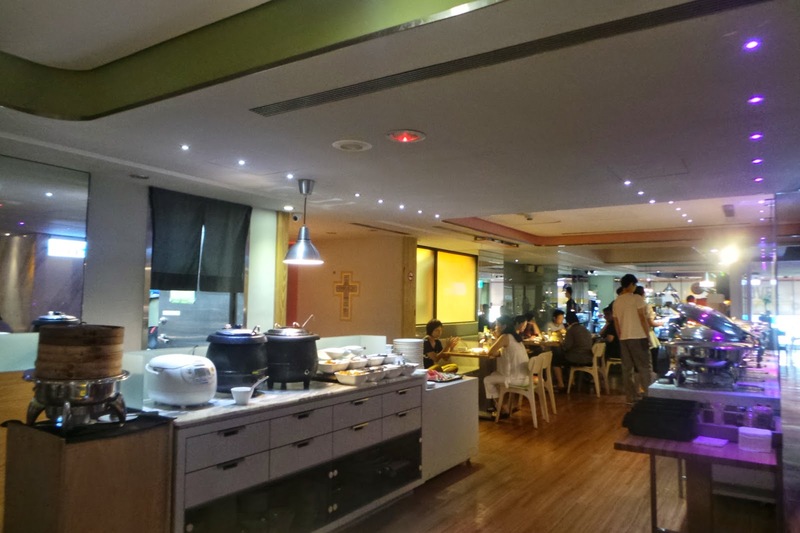 You probably need an entire month to complete the entire food available in Ximending. Next post will be on 九份，十份 and 十份瀑布. Nice looking site very great work. Tweety Bird is The famous and very very cute animation from “warner bros” Cartoon series. Because of its cuteness it is very popular among all the girls. ihappymothersday2017.com So here we are presenting some best tweety bird Mother’s Day Pictures For Your MOM. We hope that you like it.